We are writing to ask for your support of the Centennial High School Marching Hawks and Golden Pageantry Corps. This band and colorguard program provides a wonderful life experience to high school students and teaches the students much more than just music. However, funding these programs are the challenge each year. 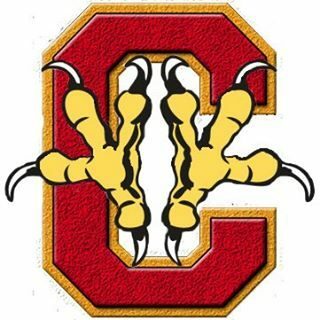 For this reason, we are asking that you, as a Community Partner, to consider becoming a Talons Sponsor. The Talons group is a recognized California 501(c)(3) non-profit organization, consisting of parents of band and colorguard students. This group is the governing body for fundraising and monetary oversight for the band program to compete locally and State wide. Parents of current students in the program comprise the governing board and elections are held annually. However, with all the time and support received from the parents, it is still not enough to keep the Drums pounding, Horns blowing and Flags turning. We need the support of our neighbors and local businesses to ensure the success of the Marching Hawks and Golden Pageantry Corps. Any donations made to the Talons are tax deductible (Tax Id is at the top of page). We believe in recognizing our sponsors and seek partnerships with local businesses. We also offer “Branding the Trailer” with your company name and logo. This trailer is used for all competitions and travels to many places all over the state. With a Donation of $500 or more your company name and Logo can be displayed on the trailer. We look forward to partnering with you and seeing your name “Branded on the Trailer”.